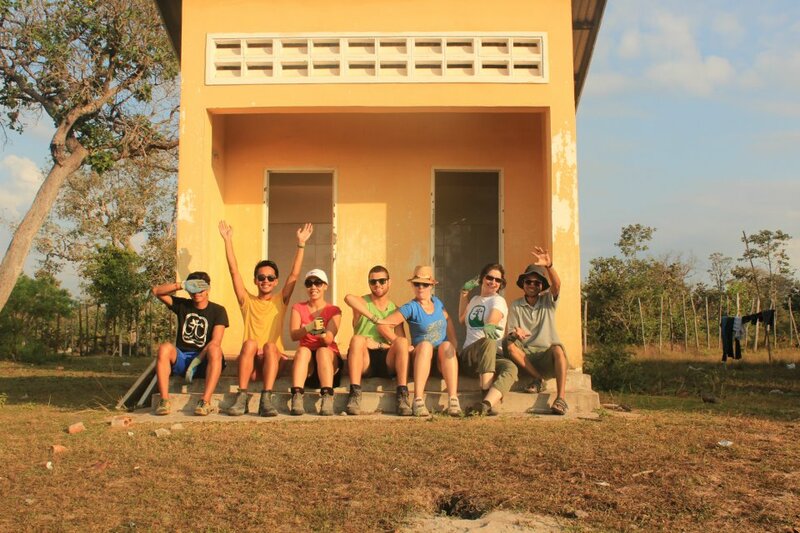 Volunteer Life in Pictures #7: The school did not have a single working toilet on it's grounds. The students and teachers were forced to climb through the fence into areas marked unsafe because of landmines or UXO (Unexploded Ordinances) to relieve themselves. The volunteers spent hours and days fixing these toilets, scraping old paint off and repainting and cleaning. Usually, in searing sun and very trying conditions. We have just been told that the plumbing is done and the doors are being installed. Thank you volunteers for working so hard and wearing bright coloured t-shirts while you work! You are amazing. To us anyway.